Hi all!! Happy Hump Day! 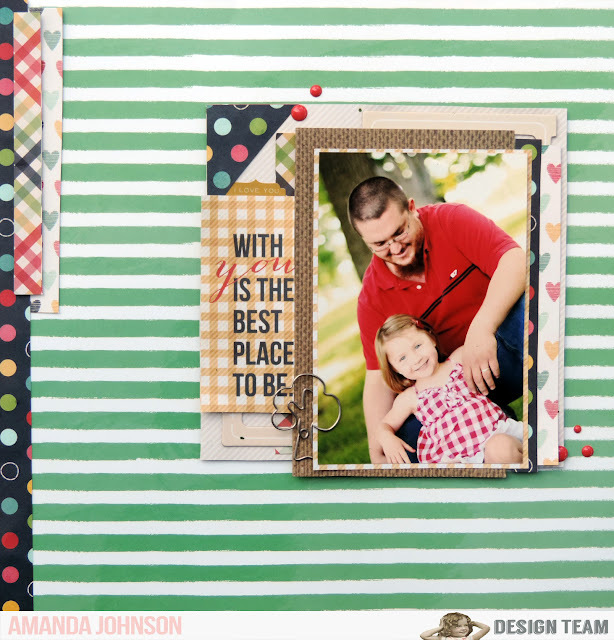 :) Today I am up over at the Noel Mignon blog sharing a new layout using the Sweet & Simple Classic Kit!!! There are still a few of these beauties left, so hop over and check it out!! This layout started out on a completely different path, but I just couldn't make it work the way I wanted. 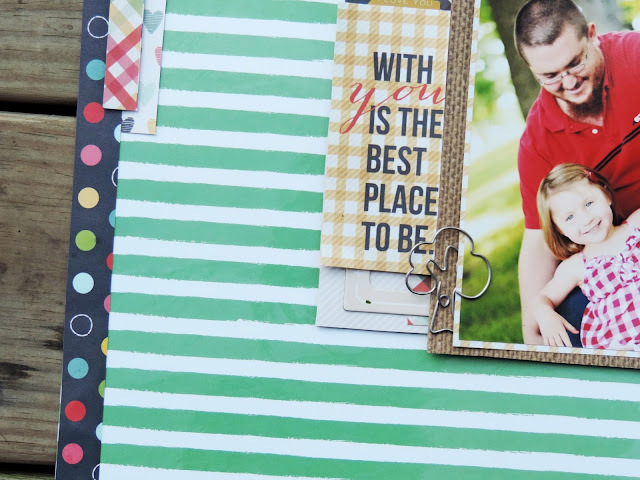 Finally I just cut my layers and photos right off of the background, and adhered them onto this fabulous green stripe paper. I layered in a few strips along the left side of the paper. 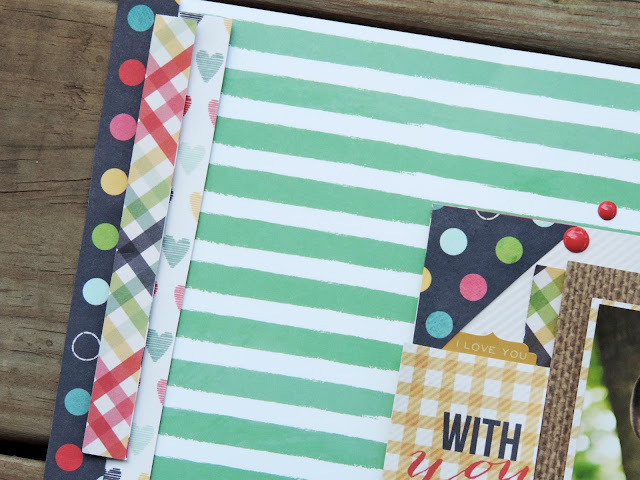 This helped to create a visual triangle with that fun navy polka dot paper, and I was also able to incorporate just a few more layers and interest...this was good too, since I was worried to mess too much with the layers around my photo. I used permanent adhesive on the previous background paper, and didn't want to risk damaging my photo! I really wanted to keep them embellishing to a minimum on this page, but I just couldn't resist using one of those adorable tree clips. It worked perfectly with my photo! Keep your eyes on the NoelMignon.com facebook page for sneaks of the upcoming South Shore kit!! So bright and fun...perfect for all those summer photos!! So sweet! Love the simple layers and a great photo!